It seems (to me at least) that the holiday season is a time of year that people go overboard with their spending. I am not sure if it is a “keeping up with the Jones” mentality, or maybe they love to give gifts to other people, but a lot of people spend way more than they can afford. They end up spending months and months paying off their high interest credit cards, in order to be able to do it all over again next year. I do not know about you but for me – one of the worst things that could happen to me is for someone I love to go into debt to buy me a gift that I do not even “need”!! So today I am going to talk about setting up a Christmas / Holiday budget, and some helpful tips to make sure you stick to it. Plus I have some printables that will help you make your budget and keep you on track! Here are a few things you need to do in order to keep your finances in order this Holiday season. Sit down with your spouse and decide on a figure together. This amount of money is how much you CAN afford, not what you WANT to spend. Be realistic. Your credit card limit should NOT be how much you can afford for Christmas this year. Here is how we do it: Scott gets paid every two weeks. We pay our bills / base our budget off of two paychecks per month. It just so happens that twice a year Scott gets three paychecks per month. This happens in either May/Jun and again in Oct/Nov. We always plan on the Oct/Nov paycheck to cover our Holiday expenses. If you do not get the bonus paycheck at Christmas time, or it is already allotted for you need to be planning much earlier. I suggest using this method! 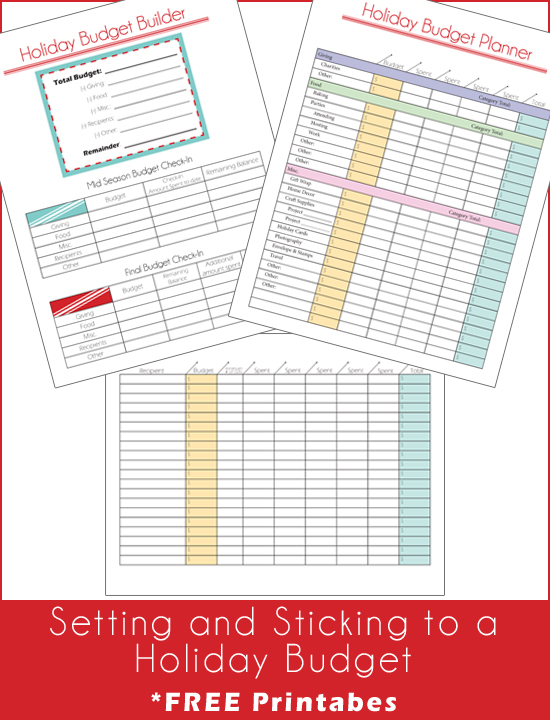 Download my handy printable packet to help you create your lists. You need to make a list of people you are purchasing gifts for, but you also need the printable for the expenses we always forget to calculate. Like: travel, baking supplies, holiday cards, etc. my printables cover all of them! Now that you have a budget and your shopping list, prioritize it. It is very possible that you have more people on your list than you can afford to shop for. You might have to get creative with your gift giving *see below for some ideas*. For us, our priority is obviously our son. He is number 1 on our Christmas list. Hopefully we are able to get gifts for everyone on our list, but his gift is certainly a higher priority than the mailman or the neighbor we don’t actually know. I use to be a huge sucker for NOT condensing my shopping trips. We would just head to the mall just to be around the Holiday atmosphere knowing full well that there was nothing we were going to buy at the mall, other than meals for ourselves. total money waste! It might not be as huge of a deal to some of you, but when you live an hour away from the mall (like we do) it is an ordeal to head out there and Christmas shop for the day. So now when we go out Christmas shopping we have a list of stores we want to go to, and what we want to purchase there. You know when you are going on a road trip and you plug your destination into the GPS and it tells you that it is going to take 6 and a half hours until you arrive, and your husband says “I bet we can do it in 5 and a half hours!”? Well, take that same concept and apply it to your Christmas budget! You know how much you are able to spend, but that does not mean you HAVE to spend it! Heck no! Try and come in under budget. Get creative, make it a game to find the best deals, do whatever you can to beat your budget! If you have debt take the amount you saved and apply it to that debt! – It will be a Christmas present for yourself! Start early. I hope you have already been shopping and finding deals left and right. Check Amazon’s lightning deals daily, signup for Black Friday deals sent directly to your inbox. Shop sales! Hello Black Friday and Cyber Monday. 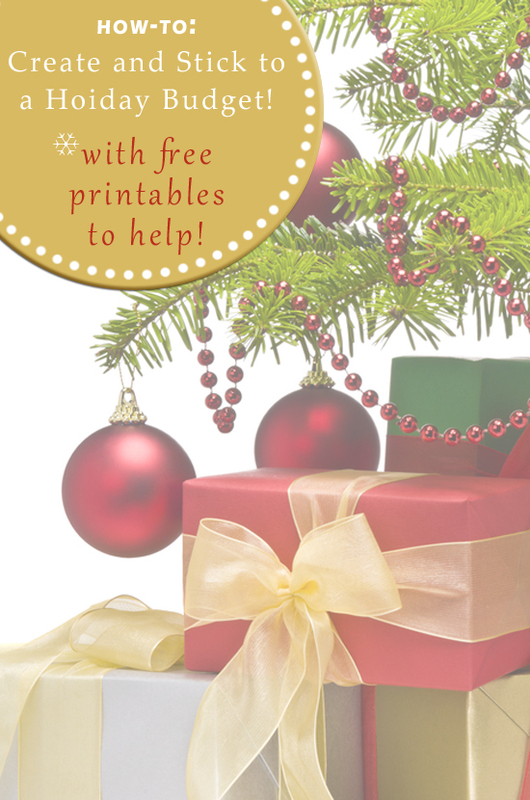 Check out my Black Friday Tips, and Black Friday Organizing Printables to get the best deals. Make infinity finger scarves for people. I made one for myself two weeks ago and love it, plus it only took me an hour and some yarn! Gift your time. You can babysit for friends and family members. Gift your talents. Are you super handy? Gift “yourself” and your talents to people that you know could use a handyman for an afternoon! Are you an awesome cook? Gift your evening to teaching a friend some kitchen techniques or a new recipe. All-in-All our options are pretty endless. The most import thing to remember is that Christmas is NOT about gifts. It is about being with those that you love and honoring our savior. Nobody wants you to go into debt for them, that is not a gift for anyone! Are you interested in other financial posts? 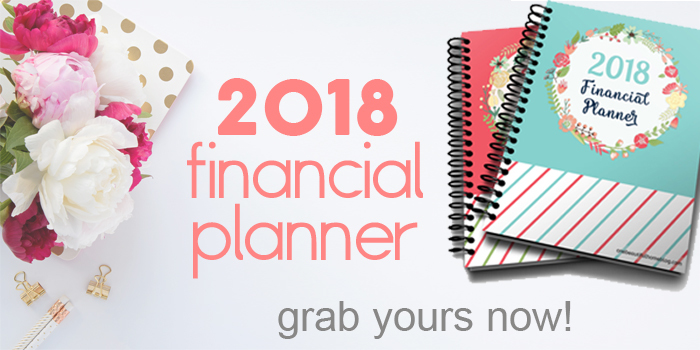 Make sure you check out my 2017 Financial Planner! Writing a Letter to Santa ~ Free Printable! Holiday Gift Guide for Preschoolers. Fun & Educational Gifts! Thanks so much for this post, Lindsay! I love your perspective about not wanting someone you love to go into debt to get you a gift you don’t even need. It is easy to get carried away with the season only to regret our spending later. I’m so glad to see people talking about this important subject. I think budgeting for the holidays is so important. Another subject dear to my heart is charitable giving. Have you heard of the Advent Conspiracy? You can read my post called Christmas in July, if you are interested. Thanks, again, for the reminder to keep our budgets in check this season. I enjoyed reading your post and couldn’t agree more. Too many people take “the sky’s the limit” approach to holiday spending. Not this girl! I shop sales and coupon as much as possible! Thanks for your tips and thanks for sharing on the #SHINEbloghop.